When you would like to have flowers at your wedding that have been specially designed for the occasion then you need to hire the services of Jenny B Floral Design. This company is known for creating unique decorations and all of the décor for the celebration using a combination of flowers and elements that have been bought or found to complement the space. According to reviews, you can work closely with this designer to come up with a vision for the flowers and she will make this come to life. 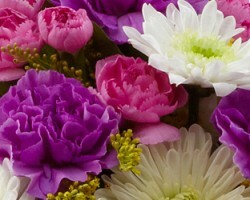 Wedding flowers are not something that you can simply pick up at the local grocery store. They require designing so they match the style of the occasion and the taste of the couple. The Enchanted Florist is a company that is focused on providing the most beautiful and the freshest flowers for weddings and other events. You can browse through their collection and see if they have already designed something you love or you can work on custom arrangements with the designers. 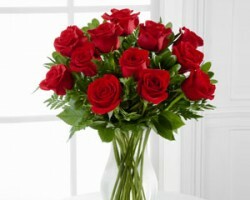 Aranda’s Flowers and Gifts is an Anaheim florist that guarantees customer satisfaction. When you are ordering and working with such delicate decorations, it is important that the shop responsible for the growing of the flowers and arrangements ensures the quality of their work. Putting your satisfaction first is one of the main reasons local couples use this shop for their wedding flowers and all special occasion arrangements too. The level of service and the selection is something that other florists in Anaheim, CA simply cannot compete with. 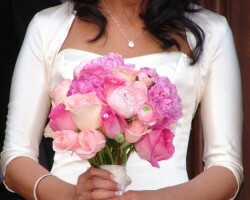 Since 2000, Mina Flower Design has been offering a range of floral services in California. With wholesale prices and a team of designers and decorators, this is one of the top flower shops for couples in the area to find their wedding arrangements. This shop has helped countless couples make their ceremonies great from multicultural events to more specifically, Persian weddings. One of the best things about working with this company is that the florists are always willing to adjust their work to their clients. 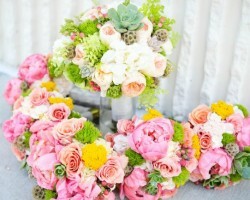 Brea Florist offers everything from affordable flowers delivery in Anaheim to wedding arrangements and accessories. While this team has developed some of the most beautiful decorations and bouquets, they are always willing to come up with designs that have been made to suit your venue and your style. You will love working with a company that is so accommodating and ready to work within your budget to make your day as special as possible. 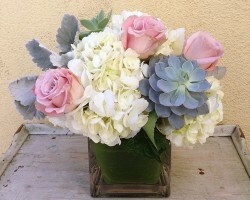 By choosing Brea Florist you can be certain that every detail of the décor will be flawless.